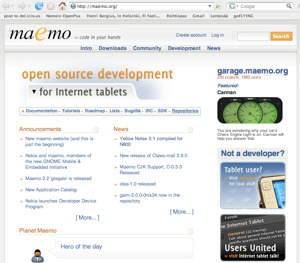 We have conducted a study on migrating/integrating all existing services of maemo.org with the Midgard CMS framework. Based on the study we have decided to go ahead and setup the new environment. Nemein is participating in the project as the Midgard expert organization. Updated 2006-10-26: The project is now well under way. The Midgard layout templates for Maemo and original specifications are available. Updated 2006-10-29: Tuomas Kuosmanen has a good summary of the project too. 28 January 2008. 1 minute read. We helped to launch two interesting new Midgard-powered sites yesterday.